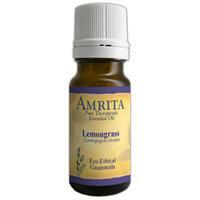 If you’re ready for an increase in mood, confidence and self-esteem, then you’re ready for lemongrass essential oil. Lemongrass is a tall, reedy plant that originally hails from Asia. It’s subtle lemony scent and crisp flavor makes it a recipe favorite, but good taste is only one of the reasons you'll fall in love with lemongrass. There are many others! Therapeutic lemongrass essential oil is distilled from the leaves, reeds and other parts of the plant above the soil, all of which are stocked with a host of benefits. You’ve already met some of the top lemongrass essential oil benefits with its ability to boost your confidence and self-esteem, both linked to the plant's anti-depressant properties. elevated mood and decreased nervous tension. Another one of the many lemongrass essential oil uses the reported reduction in symptoms of nervous disorders, such as shaking hands and poor reflexes, that come with Parkinson’s or Alzheimer’s disease, vertigo and similar conditions. While it's busy strengthening your nerves, organic lemongrass essential oil is just as busy soothing your body and mind as a highly effective sedative. Try it for reducing anxiety, calming your brain and even kicking insomnia to the curb. The sedative properties also do double duty to quell inflammation and relieve itchy skin. As tonic that revs up your overall health and well-being, lemongrass gets high points for toning up your bodily systems and helping your body absorb nutrients. Getting rid of toxins is another one of lemongrass essential oil benefits, acting as a diuretic that flushes out your kidneys, decreases bloating and lowers your blood pressure. Mix in its antibacterial, antimicrobial and fungicidal qualities and you get one particularly powerful plant. One final reason you’ll come to love this essential oil is its ability to play well with others. Lemongrass mingles marvelously with the essential oils of jasmine, cedarwood, basil, coriander, lavender, tea tree and geranium. how do you know which oils are edible or how to use them?? We would not advise experimenting with ingesting essential oils (which are highly concentrated) without the guidance of a Certified Aromatherapist. You can find plenty of informative books on aromatherapy for how to use them, what their properties are and how to safely create your own blends for topical or aromatic use. You can also look on-line for courses offered in your area.